Tiny’s Father is a small time bootlegger in early 1920’s Detroit, and because he refuses to pay the local crime syndicate for protection he is kidnapped and it falls on Tiny to team up with Joey, he childhood ‘enemy’, and Enzo, the crime lords son, in order to work out a deal and save her father. Tiny was an interesting main character. Most of the time she seemed more like a modern woman then a 1920’s bootlegger. The only time I got the vibe that she wasn’t from this era was when she was talking about things like the vote. Otherwise Tiny was very in control of her sexuality, and destiny. I liked that about her, although I wonder how many women living during this time actually felt this way. The romance in Speak Easy was a sort of love triangle, although it was obvious who Tiny preferred. I just wish she had preferred someone else. Honestly, the romance in Speak Easy, because I had such a dislike for the male lead, Enzo, was not my favorite part of the story. Don’t get me wrong this book was definitely HOT! The scenes between Tiny and the Enzo were electric and intense. I just wish I had liked the guy more. I even felt at many points in the story that Tiny herself didn’t like the Enzo so it made it almost impossible for me to feel anything for him. I did like the story itself though. A girl trying to rescue her father while taking care of her sisters, running a bootlegging operation, and navigating 1920’s Detroit was awesome! I also liked the fact that the novel gripped me the entire time, it was hard to put it down because something new and interesting was always happening. 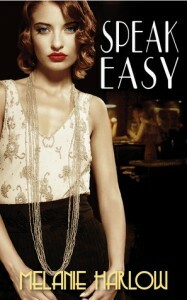 Overall, I enjoyed Speak Easy. My one other gripe, aside from the romance, is the length of the novel. 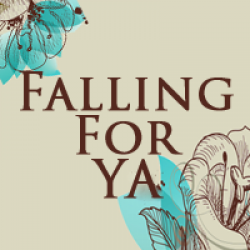 At 194 ebook pages (for the ARC) it was relatively short and I am now eagerly awaiting the next book in the series!